SOMETIMES YOU WILL end up with a situation where you will lose your chats and WhatsApp data. It could be down to a freak glitch, it could be a case that you end up losing your phone or it gets stolen. It can be a pain losing your chat history but thankfully, you can avert that by backing up your files on iCloud or Google Drive (depending on what you’re using) and recovering your info. You can back up your photos using iCloud and the process is pretty straightforward. Go into Settings > Chats and Calls > Chats Backup and connect it to your iCloud account. You can choose how often the backups occur, either daily, weekly or monthly and whether you want to backup videos as well. 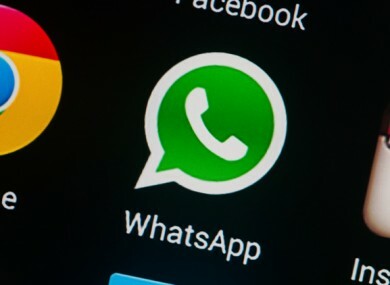 Recently, Google announced that it would gradually introduce a backup of your WhatsApp chats via Google Drive. Some of you may have access to it – apparently it’s going to be a very slow rollout – but there’s no harm in checking first of all. To check tap the menu button and go into Settings > Chats and Calls > Chat Backup and you will find the option to backup via Google Drive. If it isn’t there, then you will see ‘Back up Chats’ which saves your chats on your main storage. Although if you don’t have it and are really impatient, then you could skip ahead and download the APK (Android application package) files for it instead. It does require you to do two things. Go into Settings > Security and allow installation from unknown sources. Then go into Google Play > Settings and turn off automatic updates (and while you’re at it, you should back up your chat files on your device just to be on the safe side). Once you have that done, you can find the files via Android Police and download from there. Just make sure to click the large blue download button beside Google Play. Email “Want to keep a backup of all your WhatsApp messages? Here's how”. Feedback on “Want to keep a backup of all your WhatsApp messages? Here's how”.